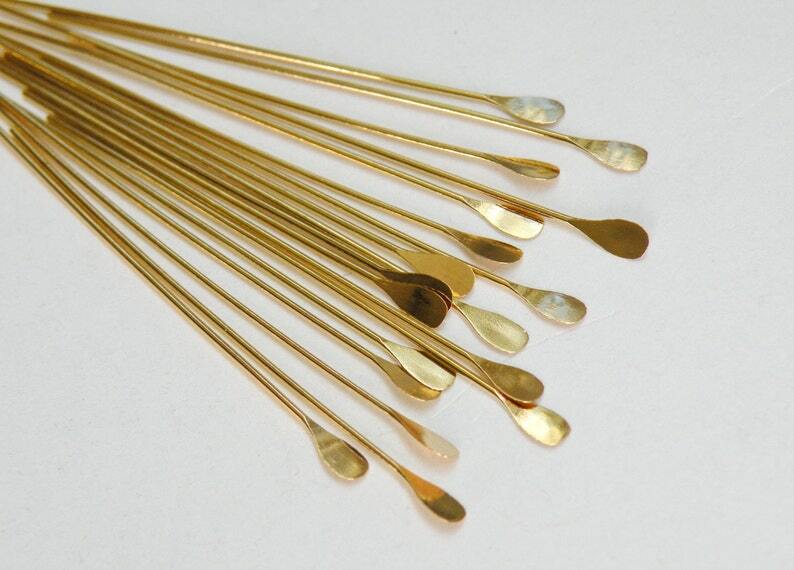 Shiny gold plated brass head pins with round paddle head 2" or 51mm 22 gauge. An earring necessity! Also available in shiny silver, shiny gunmetal, and antique bronze - just search my shop for paddle. I haven’t seen this unique shape in a headpin. Really nice. Very good order from a wonderful shop. The headpins are very excellent quality. I received my order quickly and it was packed perfectly.